We are excited to celebrate David Hardy on April 22, from 5-7 p.m. in the BUMC Fellowship Hall! This event will include an opportunity for comments or David stories as well as a chance to show David our appreciation in a financial way. David’s presence in the church Monday through Friday has been constant through the many changes in ministries and staff members. 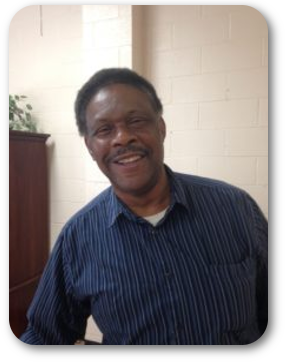 In addition to being a full-time custodian and handyman for the entire Blakemore facility, David has also served to set up special events, receiving and storing Frozen Assets supplies, assisting in the Nearly New Store, carrying clothes to ARC, emptying the discarded clothing bins, and selling clothes when others can’t be there. David also established the sack lunch program in conjunction with the BUMC Food Pantry, helps individual members with their personal home projects (you know who you are), and has taken reduced or no pay when the church budget could not be met. He is the face of care and resources for people experiencing homelessness and need who enter our Bowling Avenue doors every day. He has a servant’s heart whether he is helping Blakemore or his own church family. Recently, several members of Blakemore have helped David secure his own affordable home. Beyond this, members have worked to establish the David Hardy Trust Fund in hopes to secure David’s financial future. We are grateful to our church family for considering a donation to help us give back to our longest serving staff member and brother in Christ.